Belgian sculptor William Roobrouck celebrates his passion for Indaten® weathering steel from ArcelorMittal Europe – Flat Products in a new exhibition at Belgium’s coast. Titled Buitenbeeld (Out of view), the exhibition was staged on the roof of the Knokke Cultural Centre on Belgium’s coast in early 2019. Here he tells us about his inspiration for ‘Division’, the largest sculpture in the exhibition. 'Division' is based on the lives of three brothers who are all friends of mine. Although they share a common DNA and upbringing, the views of the brothers have diverged as they have grown older. As the divisions between them have become larger, their viewpoints on life have become increasingly diverse. This is reflected in the use of Indaten®, a steel that will ensure each face weathers differently over time – as the brothers have done. Each of the three brothers thinks their viewpoint is the right one which leads to disagreement among themselves. 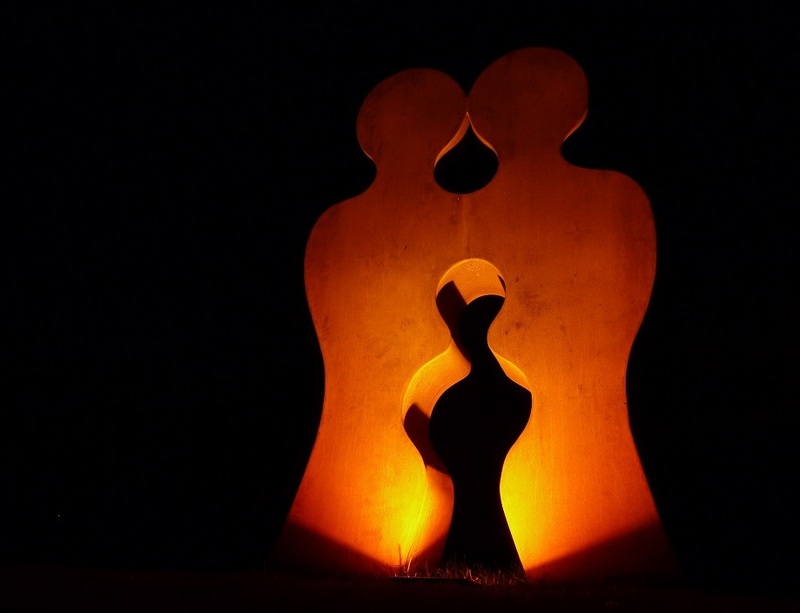 But they still share a connection – the starting point of the sculpture. The three faces in Division are unique, like the three brothers they represent. In the future, I'd like to bring the brothers together and take a picture with each of them standing under their own steel profile, backs to each other. I secretly hope that I can see them through this moment and bring the sculpture another step closer to life. 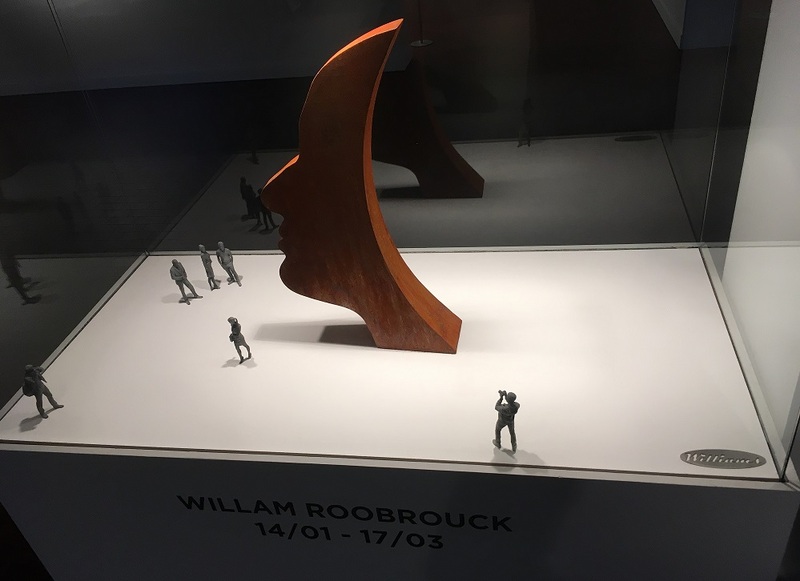 William Roobrouck is renowned for his striking steel sculptures which are often realised in Indaten® weathering steel from ArcelorMittal Europe – Flat Products. 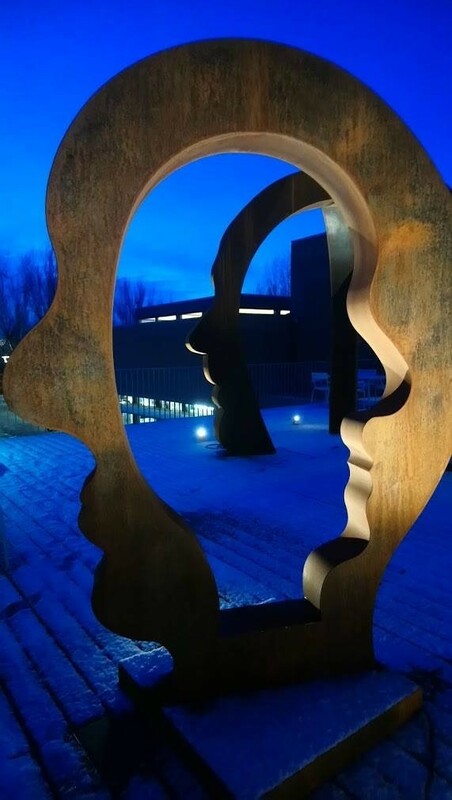 One of his recent works, 'Proud', has been purchased by the city of Knokke and will be positioned in a large roundabout in the spring of 2019. 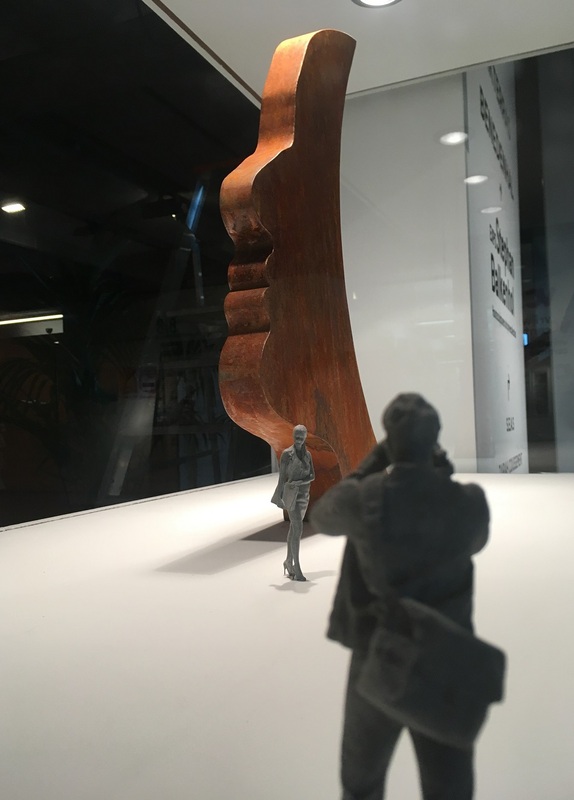 To give residents an idea of how Proud will look in its new location, William Roobrouck prepared a scale model of the sculpture. It was also displayed during the Buitenbeeld exhibition in the Knokke Cultural Centre. Indaten® is a structural steel with excellent resistance to atmospheric corrosion, thanks to its protective and adhesive patina which evolves with time and the effects of the environment. Over time, the steel surface develops a beautiful purplish brown patina which acts as a protective armour for the steel.